You don't have to go to some exotic oceanside city to see magnificent cliffs, dunes, and shorelines. Lake Superior in Michigan has this and more. 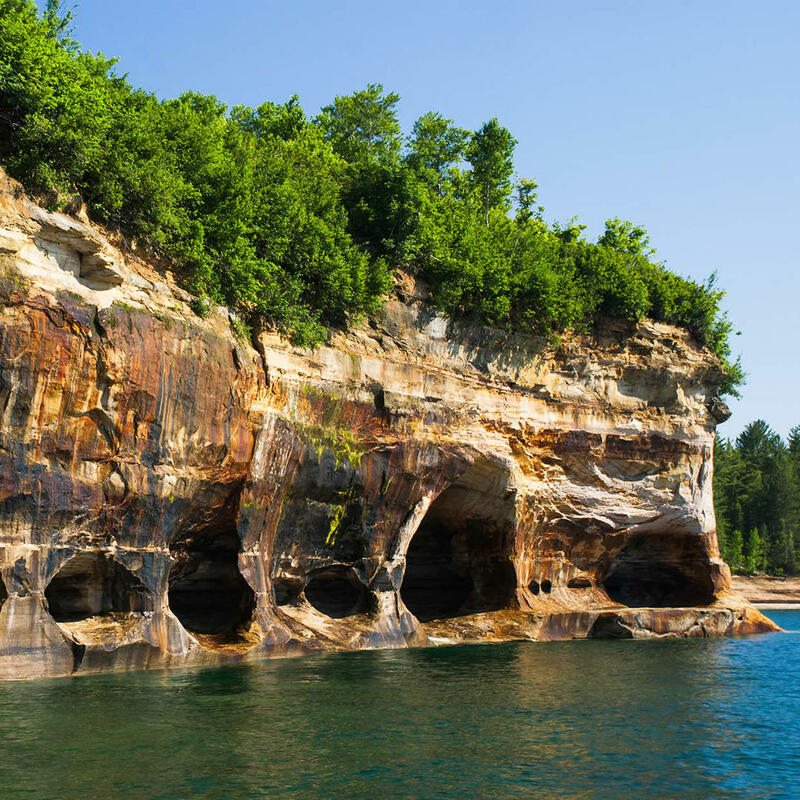 Accessible by the 10.4-mile scenic Chapel Loop, Pictured Rock National Lakeshore is the location for the spectacular arch known as Little Portal Point and some of the most grand rock formations jutting out into the river. If you can brave the cold, plan your visit for winter when the cliffs are covered in thick layers of billowing ice.